In 2010, the United Nations General Assembly recognised the right to sanitation as a human right. In the same year, this was reaffirmed by a resolution of the UN Human Rights Council. Both resolutions considered the right to sanitation ‘essential for full enjoyment of life and all human rights’. India has also voted in favour of the UN General Assembly resolution in 2010; subsequently, India has recognised the right to sanitation as a human right on several occasions. As per Census 2011, 67.33% households practiced open defecation in India. The Government of India launched Swachh Bharat Abhiyan (Clean India Mission) on 2 October, 2014 with an intention to accelerate sanitation coverage in rural and urban areas. Stakeholders and people from all sections of society have welcomed it as a major step to achieve a healthy and hygienic environment for the citizens of India. The mission can be considered as one of the steps for the realisation of the right to sanitation at the level of a human right, as an entitlement due to all. The Constitution of India classifies the field of legislation under three branches, namely, Union List, State List and Concurrent List. State governments have the power to legislate over the matters listed in the State List. Sanitation falls under the State List, so the power to legislate on it rests with the respective State governments. Correspondingly, under Clean India Mission, the methodology of the actual construction of toilets is decided by the respective States. For construction of the toilets, an incentive of 12,000 Rupees (approximately 146 GBP) is provided for people belonging to the Below Poverty Line (BPL) category, which is shared between the central government and the State governments in the ratio of 60:40. However, construction of good-quality toilets is difficult at a meagre amount of 12,000 Rupees. Implementation of sanitation policy in India will also differ from one State to another. 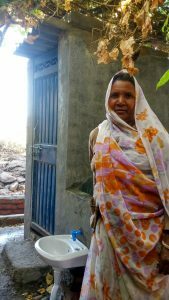 In Madhya Pradesh, a household first constructs a toilet, after which the secretary of the village uploads its photograph on the government website/ mobile application. Once the required photograph is uploaded, money gets transferred to the account of the person who constructed the toilet in his or her house. Because of this proviso, the implementation process encounters some setbacks. 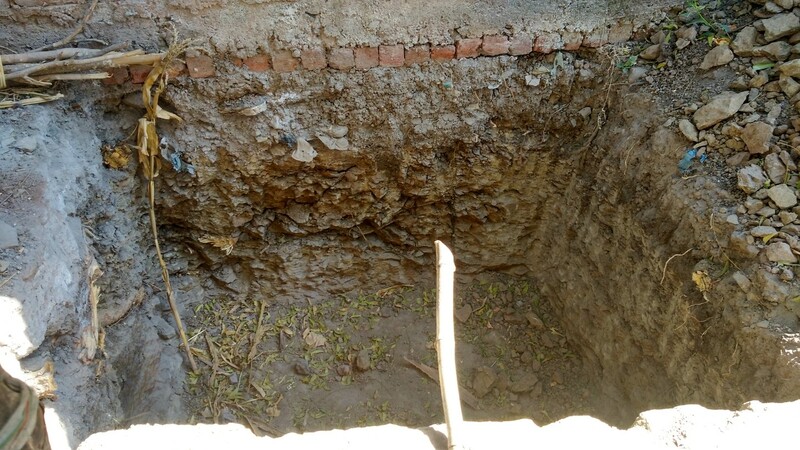 There are multiple instances present in the villages of Madhya Pradesh where villagers were willing to fulfill, or fulfilled, all the obligations within their capacity but could not achieve the desired result of an open-defecation-free village. Financial hardship is the biggest hurdle they face. At times, the work gets halted or does not begin at all because the villagers, being daily wage earners, have no funds to hire masons and purchase material for the construction of toilets. As per the policy of the government, one needs to get the entire toilet constructed so as to become eligible for aid provided by the government. This introduces an inherent lacuna in the policy. Because reimbursement is made after the construction of toilets is complete, those who have a low income and lack of savings cannot pursue the construction. 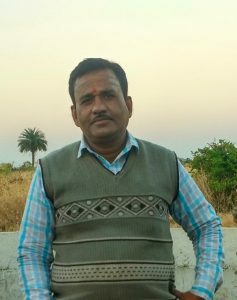 Gopal Krishan Pancholi, the secretary of an open-defecation village, Ambapani, had devised an interesting solution to the problem. His efforts to make his village open-defecation free have earned him great esteem. Pancholi borrowed money and material to get the toilets constructed. 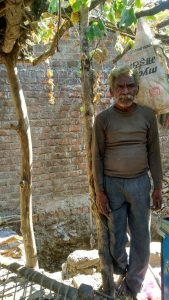 When the toilets are constructed and the government reimburses the money, the villagers pay back the money borrowed by him. 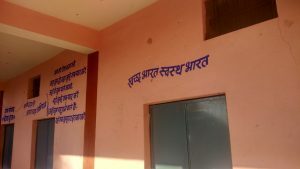 In this way, this village is successful in achieving its goal of becoming open-defecation free. This gap, created by the problem of funding, can be fulfilled by non-government organisations (NGOs). NGOs can provide funds for the construction of toilets and supervise the construction process. Furthermore, financial institutions can provide financial assistance for the construction of toilets. However, this assistance should be regulated and monitored. The funds should not be allocated to individual households but to the secretary or head (‘Sarpanch’) of a village for the village as a whole. As a result, the chances of better utilisation of funds will increase as the secretary and Sarpanch are in better positions and are well informed to make decisions regarding the construction of toilets. In addition to financial assistance, awareness of the scheme and of the detrimental effects of open defecation is of utmost importance at the grassroots level. The Sarpanch and secretary of the village have a major role to play here. Clean India Mission can be considered a major step in the right direction for improving human rights related to sanitation in India. However, success of this mission does not depend only on the policymakers or introduction of a policy but on its effective implementation as well, which in turn will depend on collective efforts from every section of society. The promotion of these conscious efforts, as mentioned above, must be inculcated as a key parameter within the policy framework itself. Amnesty International, Recognition of the human rights to water and sanitation by UN Member States at the international level (2 April, 2015), https://www.amnesty.org/en/documents/ior40/1380/2015/en/. D.D. Basu, Commentary on the Constitution of India, Vol. 10 (8th edn., LexisNexis Butterworths 2010). The Constitution of India, Republic of India, 1950. *Dushyant Thakur is an undergraduate student (Class of 2020) at Gujarat National Law University (GNLU). The author undertook research at PRS Legislative Research, New Delhi, India in various legal areas. The author often engages in pro bono work assisting local governments to improve health and sanitation in the society. This entry was posted in Aid, Health and tagged aid, health. Bookmark the permalink.